Want to get the most out of YouTube? This Youtube guide is for you. This guide goes over everything you need to know about YouTube, whether you’re an enthusiast or a budding director. This guide is available to download as a free PDF. Download The YouTube Guide: From Watching to Production now. Feel free to copy and share this with your friends and family. This guide deals with both sides of the YouTube coin, teaching you everything you need to know to find quality videos and to upload you’re own. It’s the perfect way to dive into the deep world of YouTube. If you’re an Internet-savvy geek it may be difficult to remember a time when YouTube didn’t exist. Yet it wasn’t so long ago that the site was little more than an idea in the minds of its founders Steven Chen, Chad Hurley and Jawed Karim. The site opened in 2005, and the first video was uploaded on April 23rd. Within a year, the site was receiving over 100 million page views per day. Even in the world of online business this kind of growth was astonishing. Easy online video sharing went from a dream to a basic reality of the Internet within months. As a result the site garnered a lot of attention from other, larger companies. Chief among them was Google, which paid $1.65 million (in Google stock) for the company in November of 2006. Today, YouTube receives over three billion (yes, with a “b”) page views daily. Video length restrictions were slowly raised and then lifted, the interface was redesigned several times, and rentals of theatrical releases were made available. Yet all of this change hasn’t altered the basic reason for YouTube’s existence – sharing video. For some it is a way of sharing the latest video of the kids (or cats). For others, it is a way of making a living. 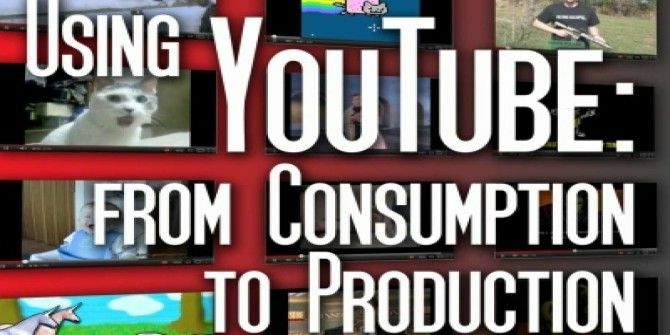 There are really two sides to the YouTube coin: consumption and production. YouTube is unique from most other forms of media because it allows people using the service to both view content and create it. Becoming a content creator doesn’t require any special permission: all you need is an account and a video file to upload. This guide will be dealing with both sides of the YouTube coin. Since each is separate from the others you will find that some chapters deal almost entirely with content consumption while other chapters deal almost entirely with content production. Those looking for information about YouTube’s web interface as well as alternative ways to access the site should focus on chapters 2 and 3, while those looking for more information on how to create, manage and promote videos should refer to chapters 4 and 5. Of course, some people will be both consumers and producers, so you’ll likely find this entire guide useful – even if some parts are more applicable than others. There’s a good chance that you already have a YouTube account. But not everyone is a YouTube fanatic, and those who only browse content may have viewed the site for years without a login. Creating an account is painless. When you are not logged in, you will see a big blue “Create Account” button at the top of the left sidebar. Press it, and you’ll be taken to a “Create a new Google Account” page. That’s right – in order to create a YouTube account, you need to create a Google account. What does that mean? Well, you won’t just have a YouTube account. You’ll also have a Gmail account. If you already have a Gmail account you don’t need to register for YouTube. You can log into YouTube with your Gmail login and password. And really, that is about it. At the time of this writing (early 2012) Google does not require that new users signing up for a Google Account register with Google+. You will have the option, and when you are logged into Gmail and other Google services without a Google+ account you will see a tempting “You+” option lurking in various interface elements. When YouTube was first released, it organized videos based on the type of content more than anything else. Since there weren’t many videos, and the site was intended primarily for sharing, this worked well enough. But time changes a site and its audience. As YouTube became an Internet sensation some content producers started to use it as a platform for launching their own creative projects. This resulted in the dominance of channels 5 Most Subscribed Channels on YouTube 5 Most Subscribed Channels on YouTube Read More . And today, as of the latest YouTube redesign, channels are the centerpieces of the site. If you’re unfamiliar with YouTube, the word “channel” might be confusing. YouTube’s channels don’t operate anything like a traditional TV channel. In fact, a “channel” on YouTube is nothing more than a specific YouTube account. For example, you might subscribe to Motor Trend’s channel, and in doing so you are subscribing to videos uploaded by that account. But you’re not subscribing to a general selection of car related videos or even Motor Trend related videos. You’re simply subscribing to videos uploaded by Motor Trend. Content from the channels that you have subscribed 5 Most Subscribed Channels on YouTube 5 Most Subscribed Channels on YouTube Read More to will appear on the main YouTube page when you are logged into your account. If you don’t have any subscriptions, or if you’re not logged in, you’ll be given a general selection of popular and sponsored content. This content can be annoyingly random. That means subscribing to channels is a requirement if you’d like to start narrowing down the selection of videos to those relevant to your interests. When you subscribe to a channel you don’t just see their videos on the main YouTube page. You also see the channel’s name and icon appear in a subscriptions sidebar on the left side of the page. If you are subscribed to many channels they won’t all appear, so you’ll have to click “see all” to open a full-page expanded interface. You can also unsubscribe to channels on this page by (counter-intuitively) clicking on the subscribed button. YouTube’s channel-focused redesign does make it easy to stay up-to-date with content you love, but it also buries video categories. This can make finding new content harder when you just want to browse the Tube. There are easy ways to find new videos, however. The easiest is probably the big “Add Channels” button that is at the top of the left sidebar. Clicking on this will present you with channels that you’ve already visited frequently, or that YouTube thinks you will like. There is also a “suggested channels” section that appears low on the left sidebar when you’re on YouTube’s main page. These suggested channels are based on the ones you’ve already subscribed to, so they should be relevant to your interests. This still keeps you in a somewhat limited loop of channels, however. If you really want to look for something new you’ll need to check out the sections listed under “From YouTube” on the left sidebar. Here you’ll find new videos that are trending or already popular. You’ll also find old-fashioned categories (just click “see all” under the “From YouTube” section). YouTube has gone out of its way to obscure categories from your view, but they’re still there, and you can still browse them. YouTube, unlike a lot of other sites with social networking features, explicitly allows users to like or dislike a video. These simple votes are anonymous and persistent. If you like a video, YouTube will automatically provide you with a share link. You can’t change a like or dislike The 10 Most Disliked YouTube Videos of All Time The 10 Most Disliked YouTube Videos of All Time With so much content on YouTube, it's always fun to look at the best, or, in this case, worst, videos. Let's see which YouTube videos have gotten the most hate... Read More once you’ve made it: it’s permanent. Re-clicking the like or dislike button will have no effect – your vote won’t be counted multiple times, but it won’t be taken back, either. Comments are different. You must log in with a valid YouTube account to leave a comment, so they’re never anonymous. However, you can remove a comment that you made. This is done by placing your cursor over your comment and then opening the drop-down menu next to the Share button. Then click on Remove. You can like or dislike comments left by other people, as well. Just like video likes/dislikes, they are anonymous and persistent. You can’t remove them or change your vote once you’ve made them. We’ve covered the basics of navigating YouTube content and comments. Now let’s talk about some stuff that isn’t so basic. Officially, the interface for YouTube is basically set in stone. There’s not much that you can do to it. Unofficially – primarily through browser extensions – you can manipulate it quite a bit. We’ll go through the extensions browser by browser. YouTube Options for Google Chrome [No Longer Available] – I think it’s fair to call this the definitive YouTube app for Chrome. Once installed, you can access a YouTube Options menu through the extension. This lets you change default viewing quality and viewing size, force a secure connection, and change the layout of the YouTube itself. Magic Actions for YouTube – While YouTube Options is more about simple customization, Magic Actions tries to offer an entirely unique experience. It dims the content surrounding a video and enlarges the video itself. You can customize it to your preferences as well. It’s pretty awesome, particularly when viewing long videos. SmartVideo for YouTube – Another custom YouTube experience, this one has options that make watching YouTube easier if you have a very slow connection. I don’t like the look of this extension as much as the others here but you may find it worthwhile for the improved buffering alone. Magic Actions for YouTube – The same as the Chrome extension, more or less, and good for the same reasons. Besides YouTube video downloaders, there are no good IE extensions that are relevant to YouTube. YouWatch – This extension makes browsing YouTube easier by keeping track of videos you’ve already watched, enabling advanced search filtering and making it possible to add videos to Opera’s Speed Dial. It’s a must-have, even if you don’t mind YouTube’s default appearance. When it first launched in 2006, YouTube could only be accessed via a browser. Since then – and particularly in the last two years – the YouTube empire has expanded. Now you can access content in many other places, and often do so without sacrificing any functionality (as a content consumer, at least). Let’s now talk about the different ways you can watch YouTube content via browser, via an app, and even without an Internet connection. One way to watch YouTube without actually going to YouTube is by embedded video How To Add YouTube Videos To Your Website With YouTube Custom Player How To Add YouTube Videos To Your Website With YouTube Custom Player Read More . You’ve probably noticed embedded video all across the web – you can find it everywhere from Facebook to individual blogs and webpages. When a video is embedded, the person doing the embedding controls how the video is viewed, but doesn’t host the content. There are a lot of different possible ways to place YouTube content on a webpage, but most sites just use the built-in embed code. This can be found on any video by clicking the Share button under it, then hitting the Embed button, then copy-and-pasting the code revealed into the HTML of a page or blog post. Although embedded video usually involves all of a video, there are some ways to insert just a portion of a clip. This is useful when embedding long videos, which are common now that YouTube has lifted its video length limits. 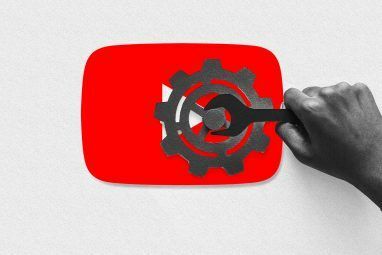 For more information, check out our MakeUseOf article on the subject 4 Ways to Easily Embed Part of a YouTube Video 4 Ways to Easily Embed Part of a YouTube Video We have shared quite a few useful YouTube-related tips so far. Here are 10 YouTube URL tricks to play with as well as some YouTube annoyances and ways to get rid of them. You may... Read More . Browser extensions that change YouTube behavior, like those I listed at the end of chapter 1, don’t impact embedded video. Those extensions work by changing the YouTube site through custom code that is automatically inserted into YouTube when you load it. But they can’t insert custom code into a video, so video displayed off the main site is not altered. YouTube Mobile is available via a pre-installed app on both Android and iOS devices. You can also view YouTube on Windows Mobile by going to m.youtube.com/app. Other devices will have to make do with the standard mobile site which is found at m.youtube.com. Officially the site should work on Nokia S60 and BlackBerry phones as well as Android, iOS and Windows Mobile. Unfortunately the official app is not consistent between devices. It’s different, not only between Android and iOS, but also between Android phones and Android tablets. Each has its own unique interface that supposedly best suits that device. The YouTube mobile site is consistent, however, and some iOS and Windows Mobile users have reported better luck using the mobile site than the apps available for the respective platforms. I suggest giving it a try and seeing for yourself. If you’re on an Android mobile you can try viewing YouTube via an unofficial app. There are quite a few listed on the Android Market, but the one which appears to be the most loved is NextVid. The title feature of this app is the ease with which you can use playlists. Once viewing a playlist, you can simply swipe back and forth between videos as you’d like. But NextVid also includes an interface that rivals that of the official YouTube app and allows for videos to continue playing in the background, which is a feature I find nice (some of my favorite channels upload audio podcasts to YouTube). As for other platforms – sorry, but I think you’re out of luck. I’m not aware of any high-quality unofficial YouTube apps for iOS or other platforms. Android owners have access to an app called YouTube Remote, which is free but is not installed by default. YouTube Remote allows you to use your Android phone as a remote control when watching content on a desktop or an Internet enabled television. This app can be a little glitchy at times, but generally gets the job done. YouTube isn’t only accessible via HTPC these days, however. There are some other apps that can be used to put it on your big screen television. One obvious choice is Google TV. However, Google TV What is Google TV and why do I want it? What is Google TV and why do I want it? Read More is still an immature platform (in my opinion) and buying a new TV just to access YouTube is probably unreasonable for most people reading this guide. You can potentially obtain Google TV by buying a Sony NSZ-GT1 Blu-Ray Player, but this still costs at least $200 at most retailers. So it’s not exactly cheap. Another option for YouTube access is Boxee Box, which includes a YouTube app by default. Boxee runs $170 on Amazon, and it’s basically a full HTPC with a custom interface, so it’s not a bad deal. However, the YouTube app is of questionable quality. I don’t recommend anyone buying a Boxee Box just for accessing YouTube. The easiest option – besides a normal HTPC – may well be the //www.makeuseof.com/tag/xbox-360-dashboard-update-brings-ui-features-galore-news/. Microsoft recently added a YouTube app and it works fairly well. You really need either Kinect 5 Microsoft Xbox Kinect Hacks That'll Blow Your Mind 5 Microsoft Xbox Kinect Hacks That'll Blow Your Mind Read More or the keyboard peripheral to get the most out of it, however, because searching with the control alone is a huge pain. You do need to have Xbox Live (a $60/year membership) to use the YouTube app. None of these options are able to fully eclipse a regular HTPC running Windows where functionality is concerned, but they offer the same video quality and an easy-to-use interface. YouTube is a streaming service, but that doesn’t mean you have to be online to watch YouTube videos. If you have the right software tool, and the foresight to download videos ahead of time, you can watch YouTube videos offline whenever you want. There’s a buffet of YouTube downloaders for Windows, and they usually work in the same way. My recommendation is Free YouTube Downloader. Just select a few options (such as the quality you want to download), enter the URL of the video, and you’re off! Downloading 1080p can take some time and a fair amount of disk space, but you can generally forget about the downloader once it starts work. If you don’t like it, check out our MakeUseOf article on YouTube download options 4 Quick Ways To Download YouTube Videos Off The Net 4 Quick Ways To Download YouTube Videos Off The Net Don't have a stable connection? You can still enjoy your favorite YouTube videos in high quality and at any times. All you have to do is choose one of the tools below, choose your format... Read More – you’ll find more recommendations there. Mac and Linux owners can instead use ClipGrab, which is another excellent YouTube downloader with a brilliant search interface. I really enjoy using it on my MacBook. [note to editor – I just submitted an article about YouTube downloaders for mac. Once published, it should be inserted here). Uploading videos is easy. Just click the “upload” link and you’ll be directed to the upload menu. From there you can drag and drop files into the upload space, open a larger upload manager for multiple file uploads, or record new video directly from your webcam. Once you’ve selected a video to upload you’ll be taken to a display that provides you with some upload options. Most of it is self-explanatory, but there are a couple of areas that require your attention. Most of it is not complex, so we’ll breeze through it quickly. Title: The title that will be attached to your video. Obviously, it should be descriptive and accurate. Inaccurate titles are a great way to attract dislikes and negative comments. Description: A bit of text attached below your video. This is a good place to add any credits or links, though you can also add those via annotations or in the video itself. Tags: Words and phrases that describe your video. They can help others stumble on your clip. Category: This drop-down menu provides all the categories on YouTube so you can pick one that best fits your video. Privacy is a major concern. By default, YouTube videos are public. But you do have the option to select Unlisted or Private. The difference is that with Unlisted, anyone can view the video – but only if they have the specific YouTube link. With Private, no one can view the video unless they’ve been given specific permission by you, regardless of if they have the link or not. License is another area to consider. Google now has a normal license and a Creative Commons license 3 Tips For Getting More Out Of Creative Commons 3 Tips For Getting More Out Of Creative Commons Read More . If you select Creative Commons you are giving others permission to “copy, distribute and create derivative works from your video” if you are given credit. Your video will automatically appear in the YouTube Video Editor’s Creative Commons section. The upside to this is that anyone who uses a clip of your video automatically gives you credit beneath their video, which could help improve your viewership. YouTube doesn’t just let you upload videos. You can also edit them using a browser-based Video Editor How To Use The New YouTube Video Editor How To Use The New YouTube Video Editor Read More . To access it you only need to visit your Video Manager, and then click on the Video Editor option found near the top of that page. Once the Video Editor is open you’ll see your uploaded video clips shown in thumbnail view. These thumbnails can be viewed by clicking on them, or you can drag them to the video timeline below the thumbnail view. Doing this with multiple clips lets you combine them, creating a single longer movie out of multiple shorter ones. If you want to add effects to a single or multiple clips, you need to use the tabs at the top of the editor. They are, from left to right: Creative Commons, Music, Transitions and Text. Creative Commons is where you’ll find the videos that people have made available under the license we talked about earlier. There are thousands of videos available, so you’ll have to use the search function to find ones that you think are relevant. You can then splice them into your video by dragging the thumbnail of the video you want into the video timeline. Next up is Music. This is where you’ll find audio clips that you can drag into the audio section of the video timeline. All of the music available in this section is free to use with any of your videos, and there’s a lot of it (though most of it is rather terrible, to be frank). Beyond that you’ll find Transitions, which is represented by an icon that looks like a bow-tie. A transition is an effect you can place between two video clips you’ve spliced together to smooth out the transition between them. These are placed by dragging them between clips in the video timeline. YouTube’s transition selection is limited, but will work well enough if you’re just uploading some clips from the family vacation. Finally, we have text, which is self-explanatory. You can drag text into your video timeline to display whatever message you’d like. The position of all the video clips, text and effects you place into a video can be manipulated using the video timeline via drag-and-drop. Do you want text to appear at the end of your video instead of the beginning? Then just drag it there. It’s not possible to have clips, text or effects overlap each other. This means that you can’t place a text element on top of a video clip. If you’d like to add text to a clip you must hover your mouse over it and then click the lower-case “a” icon. Hovering over a video clip also provides you with other options, such as brightness and contrast. You can even rotate the clip in 90 degree increments. The YouTube Video Editor is not in fact the only place where you can edit your videos. I know that doesn’t make a lot of sense. But that’s the way it works. If you go to your Video Manager you will find an Edit button besides your uploaded videos. This does not take you to the Video Editor. Instead it takes you to a separate area where you can change the video’s information. You can also add enhancements, annotations and captions. The Info and Settings area encompasses the same basic information that you enter when you first upload your video, and we already talked about that at the beginning of this chapter. So let’s move on. Enhancements are fixes and effects that can change the look of your video. You can alter brightness, contrast, color saturation and color temperature. You can crop the video and use a stabilize feature to reduce camera shake. Video effects can be added to change the look of your video, or you can add music clips for ambiance. Yes, the clips are the same as those available in the video editor – but there’s a handy “recommended tracks” section, something you don’t find in the editor. In the Annotations section you’ll find the tools that let you place text over a video. Unlike the text you can add in the editor, annotations can be spliced right into the clip at any point and can contain links to other videos. Annotations can be moved about your video via drag-and-drop, while the timeline view at the bottom lets you decide how long an annotation appears. Last we have Captions, a feature most people probably won’t mess with. Captions are just like the captions you see when you watch a television that has captioning on. They’re meant to help people with disabilities watch your video. 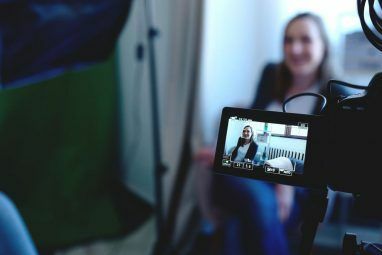 For most casual users of YouTube, this is not a feature that holds much weight – but if you’re looking to become a real professional, you should consider it. There are some tools that can make captions easier to create, such as Easy YouTube Caption Creator. For most people, YouTube is just for kicks. It’s the place where they have that “sitting on the toilet” video. It’s the place where the kitten videos just never end. And it’s the place where it’s sometimes fun to start browsing entirely random videos, just to find some absurd gem with 300 views. But that’s not true for everyone. Since YouTube offers advertising, it’s possible to make some money off your videos. Some people – a rare few – seem to make a living off their YouTube exploits. Many others use YouTube as a promotional platform, spreading word about themselves or their business. I should first offer a disclaimer here. If you want to do well on YouTube, the first step is to make great videos. If your videos aren’t good, then no amount of knowledge about analytics or promotion can help you. But if you believe you have the skill, this chapter can help you understand the technical details. As you probably already know, YouTube allows content producers to make money from their work through advertisements. These advertisements can appear at the beginning of or during a video. YouTube is pretty strict about the types of videos that are eligible, however. You will find a complete list of terms on YouTube, but they boil down to this – you can only make money from content that is entirely original. If your content is original you can start the process of inserting advertisements by opening Settings and then navigating to the Monetization section. You will need a valid Adsense account – if you don’t have one, you must start one. Once you’ve signed up, it’ll take up to 48 hours to link your Adsense account to your YouTube account. Then you can start advertising. To Advertise, go to the Video Manager and then click the Edit button beside a video. A new option will be on the resulting screen – Monetize. Go there, then click the “Monetize with Ads” radio button. After you’ve done that you will see a few options. You also reach the same area by clicking the Monetize link above a video that you’ve uploaded. First up are Overlay ads. These advertisements appear over your video, during the video, and obscure a small part of it. They can be clicked on by viewers (which results in revenue for you) or they can be excited by viewers. They’re a simple solution and a good choice for shorter videos. The other choice is TrueView ads, which come in the InStream and InSlate formats. Instream places an advertisement at the beginning of your video which can be skipped after 5 seconds by the user. InSlate makes it possible to break up long videos with additional ads – YouTube’s version of a commercial break. Both can be effective with longer videos, but the viewer has to choose to watch the entire ad for you to be paid. Also, InSlate is currently a pilot program – it appears to only be available to established, high-volume channels. The rest of the options here revolve around making sure you have the rights to profit from your video. You can include product placements in your video, but you have to declare it first. You also have to declare if your video includes any form of media that someone else may own the rights to, and if so, you need to explain why you’re allowed to use it. In other words, you can’t place a clip from a TV show or use a musical track from a popular band unless you can prove you have permission. YouTube is strict about this, and they’ll even go so far as to remove your video entirely if an investigation into your video reveals that it includes media you don’t own the rights to. YouTube provides a great deal of information about your videos. You can see not only how many people have watched your video, but also where they’re from, how they’re reaching your video and more. This information can help you plan future content. Basic analytics can be found below videos on YouTube, but if you want access to all possible information, open the Video Manager. On the right side of each video listed you will see a stat summary. Click on this, and you’ll open the full analytics report starting with the Overview. The Overview does what it says. It provides general information such as the number of people who have viewed our video within the last 30 days, likes/dislikes, and etc. Over on the left you’ll find more specific reports. Let’s review some of the more important ones. Demographics is where you’ll find information about who is viewing your video. This includes their gender, age and location. By default this view only shows you the last 30 days, so you may want to expand it outward to broaden your perspective. Understanding your audience is important, so you’ll probably spend fair amount of time looking at the demographics for your content. Playback Locations provides information about where people are viewing your video – the YouTube site or elsewhere. If you promote your videos on a separate site, such as a personal blog, the information here can help you determine how effective other sources of views are compared to YouTube itself. This area also shows you mobile device usage, which can help you determine how to format your videos. Next up we have Traffic Sources. This tells you where people viewing your videos are coming from. You can see how many people come from Google Search, from external sites, and more. 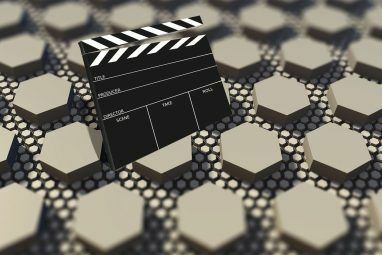 If you are trying to hitch you videos on to popular keywords the information here can be helpful in determining how successful your attempts have been. Below that is Audience Retention, another useful metric. This provides a graph that shows you how many people view your video at a specific point in the video’s timeline. For example, you may find that people are ditching your video at a specific point half-way through. This information can help you search for any particular reason why people might be leaving. YouTube is also kind enough to provide absolute and relative metrics. “Absolutes” shows you how many people are staying as a percentage, while “relative” shows your how your video performs when compared to other videos. The rest of the categories, though still useful, simply keep tabs on video activity. They allow you to see when comments have been made, how many people have listed your video as a favorite, and more. That’s all useful information, but not as actionable as the areas that I’ve already described. You don’t need to be obsessed with analytics to be successful, but it’s a good idea to check in on your videos at least once a month. Taking a look at Audience Retention can expose an issue that you weren’t aware of, while Demographics can help you decide how to target future content. This information is made available to you free of charge – so you may as well use it. All of the videos that you upload are considered a part of your own personal channel. As mentioned in Chapter 2, channels are the basic building block of YouTube. When a person visits your channel, they see your content in the way you want it presented. You can change your channel’s appearance by clicking the “Edit Channel” button in the upper right-hand corner of your channel (it will appear only if you’re logged in). You have the option to add a background and an avatar. My advice? Don’t go too wacky with this. Bizarre backgrounds are a definite turn-off and can distract from your videos. A person who visits your channel may end up watching several videos from the channel page itself, so don’t give them a reason to leave. Another important layout change is found in the Featured Tab section. Here you can change the fundamental look of your channel. The Creator and Blogger layouts are probably the best for people who are looking to provide content to new or returning visitors, as both of these focus on new videos and/or your playlist and favorites. The Network layout is quite different – only your featured video is shown, while the rest of the content on your channel is actually provided through other channels that you select. Everything, as you might expect, combines a bit from each layout. In my opinion, those looking to build a channel that others will frequently return to are best off with the Creator and Blogger layouts. Creator is a good choice if you tend to focus on a few different specific categories of content. You can lump them together in playlists, then feature them on your channel, providing a visitor with an easy way to find the content they want. The Blogger layout is better for users who focus only on one topic or don’t focus on any specific topic at all. I hope that this guide has included Youtube tips that will help you view and create content on YouTube. The site’s popularity seems to only grow with every passing day, and though years have passed since its creation, there’s yet to be a true challenger. YouTube is going to be the web’s most popular destination for video content in the foreseeable future. If you have any questions, I encourage you to check out MakeUseOf Answers. Answers provides a place for our readers to ask questions which are then answered by contributors as well as other readers. There’s no better place to go if you have a question that isn’t already answered by one of our many articles. Speaking of which – this guide does not have to be the end of your journey into YouTube. We have plenty of other content that you will likely find helpful. This additional reading touches on topics that are beyond the scope of this guide but still related to YouTube.